hd00:04Rotating machine. 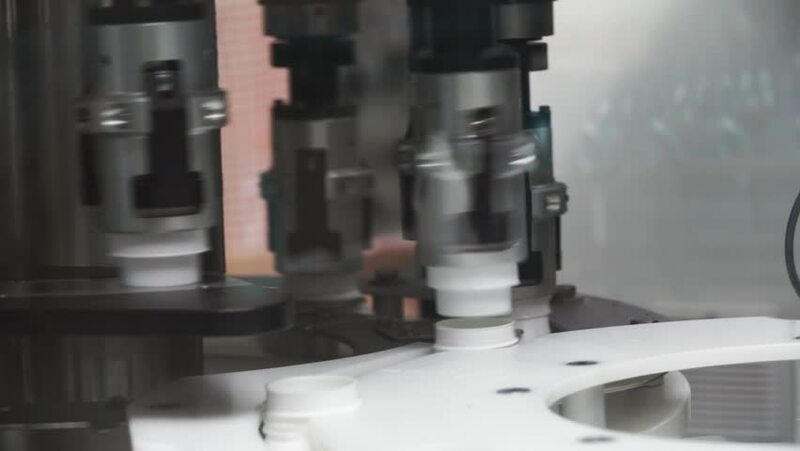 Production Of Plastic Caps. sd01:18CIRCA 1930s - Motor oil called Pennzoil is being packed in metal cans in the factory. sd00:51CIRCA 1965 _Ken Murray takes shots of downtown Los Angeles and the Orpheum Theater marquee in 1927.